darkSpyro - Spyro and Skylanders Forum - Idle Chatter - Stupid stuff that bothers you? 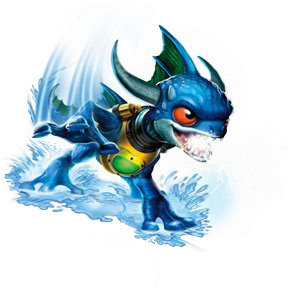 darkSpyro - Spyro and Skylanders Forum > Idle Chatter > Stupid stuff that bothers you? When there's some food I really like, but it's limited-edition or suddenly gets discontinued. When I really want a particular snack, but don't have any left. When my cat steals my favourite spot on the couch, or sits in a way which makes it so I can't stretch out. When I put my cat on the couch, because I want her to sit with me, but she immediately walks away. When I'm set on getting something for my birthday/Christmas, then suddenly find something expensive that I want, but can't get unless I buy it instead of the thing I wanted first. When I find a poster I really like, and it's slightly too big to fit with my others, so I have to rearrange them. When my favourite clothes are in the wash, but I want to wear them. When people overuse the word "overpowered". When I want to play my 3DS or PSP, but their battery is low and I can't find their chargers. When I take my 3DS out, so I can get StreetPasses/Play Coins, but I forget to turn the power on. When people on my home desktop don't log out of their account when they're done. People who can't figure out when to let go of an argument. Anything that's limited edition is bad. I also have one stupid thing that bothers me: The fact that shoppings/stores start making decorations/sales based on a holiday that's far from happening. Shoppings and stores are already making Christmas commemorations since October. ^ Yes! Especially since we don't celebrate Halloween here! Makes it fee like Christmas is stealing Halloween's spotlight. When you buy new headphones and they die within a week. Halloween is not common here too. Also, I just hate when my headphones dies, even if it lasted a year. When I save the link to a funny topic or post on GameFAQs and it becomes unavailable for viewing. People who drum their fingernails, or cluck their tongue. It just makes them sound really impatient, and there's just something about those noises that annoys the living **** out of me. People.. That about covers everything. When I'm told I look younger than I am. People insist I should take it as a compliment because "hey you won't age as badly" but right now I'd rather not look 16. ^ I know that feeling. I look younger than my age and I hate it. I understand that I will be thankful when I'm older, but at the moment I want to look 19 dammit. It annoys me when people just have absolutely no respect for the rules in a game or a sport event, and openly cheats, expecting to get away with it, ruining the game for everybody else. This one time, I was playing a game of kickball against another team, and I was about to hit the ball really hard, and then some guy on the other team just slammed into me, making me hit the ball into the side lines, and said I was out because of it. And guess what? The referee didn't say anything! He was just sitting there reading a newspaper! After a lot argument, I couldn't stand that try-hard any longer, and just left the game, while he was laughing and taunting me. Mine are the treatment of the legend of sarila(a movie from my own country) who was renamed frozen land in usa,the lion guard and well that the closest we have for a spiritual successor of Dinosaurs,when there are no nutella also. Here's one: people treating fandoms like one big aglomerate around an event. Just because some dumb kids harrassed the person one time doesn't make every fan bad and undeserving of good things; yes, maybe punishments and strictness are in order, but don't act like the fandom could've predicted and prevented a bad happening just because they share taste. As the subject that makes me say this; just because of the Undertale and FNAF crossover creator got harassed, doesn't mean the fandom turned a blind eye. Threads complaining about it got nuked on sight at the subreddit as any good mod would do, so we only found out after the damage was done. That doesn't mean putting Undertale references on something immediately makes you a target to death threats and harassment and you have to avoid it at all costs. For that matter, anything you do could get death threats. Subject isn't the problem, the attacker's attitude and how they get away with it is. People who think something is going downhill. Well, you would really hate me. mega spyro is referring to this topic. Oh, my beauty topic... It turned into a mess. Um...not being able to fall asleep? Oh I hate not being able to fall asleep! Especially if it is on the day before a big occasion like Christmas or your birthday! Not they not, people go downhill. No, and just stop you know i'm right. If he's saying he doesn't think it is,then no, either he doesn't know or you're not right. So you're saying literally everything in existence has only gotten better? So everything you say is always 100% right, even when it's just your opinion? But I know, I know, I'm wrong by having a differing opinion from you. Maybe in your mind you're right, but you really aren't. I have a tendency to flip my scrap when I find out there's no milk in the house and I want a glass of chocolate milk. I think I may have an addiction. Thank you for rerailing the topic Isis. When you try removing a poster from your wall and accidentally tear it, or if you've been using Blu-Tack, it has those visible Blu-Tack stains. Seriously, I don't know what way is better to hang them, and some of my posters are humongous, so I can't buy frames for all of them. And on a related note, what's the best way to store drawings on physical paper? Should I get a binder for them? I usually draw digital, but I have a couple of drawings on paper lying around. I draw lots of Skylander art at home, so I keep all my drawings in a big, old file cabinet. When you can't find anything you would want for Christmas or your birthday and everyone keeps asking you. When you get ready for a stream and it ends up like crap, especially if you were around hours before just to make sure you could watch it on time. Actually in general, preparing things to the minutes and finding out you wasted it all because it's not as good as you expected. When I take a sticker off something, but the stick part of the sticker stays. I have to use goo remover that smells like a demented lemon and it's such a hassle. When people say "then" when they mean "than". For example, "I'd rather do this then do that." When you get called a sheep for liking something that's popular or overrated. When you get called a hipster for disliking something that's popular or overrated. When cheese is too cold to melt on your pasta. When people say that Charizard isn't a dragon or can't learn Fly. When video games have unskippable cutscenes and you have to watch them over and over again if you keep dying/losing. I agree with you that all these things are annoying. When people complain over anything. Well,you're doing that now. In a topic where we mention things we're annoyed about. *a few minutes cleaning eyes later* HERE'S SOMETHING THAT REALLY BOTHERS ME, when my eyelashes grow so much they start falling on my eyes. Buying stuff from an online retail based in the UK taking nearly a month to have a product delivered from Northern Ireland to Republic or Ireland even though Ireland is just beside the UK. Also how GAME gives customers no tracking number for their orders.